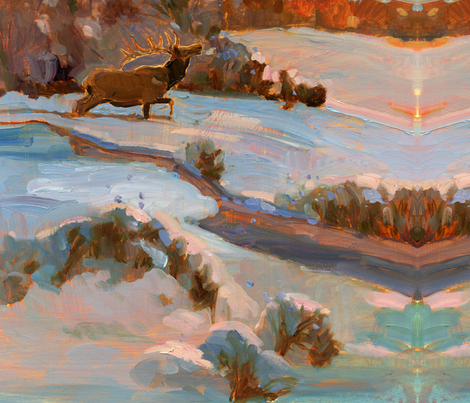 The elk graces his surroundings with antlers held high. 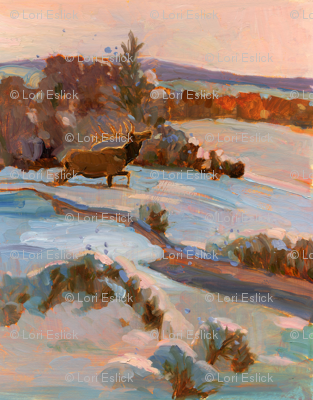 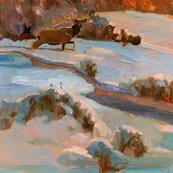 The Elk is seen in a snow scene, while he wakes up with a morning drink at the nearby stream. 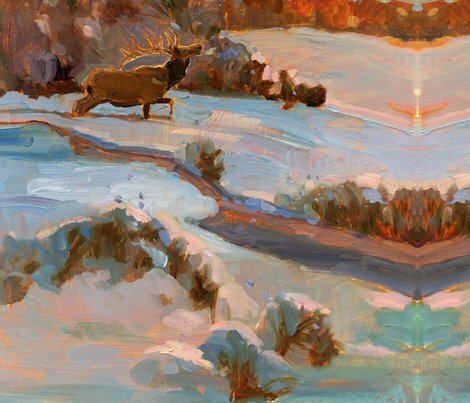 The design would make a fun pillow with the mirror image showing two Elks on one side looking for the one Elk (could be) on the other side.